We have extended the paid Internship period of our fabulous young English and Creative Writing Graduate, Lucy Niblock, for several more weeks as she searches for a permanent position in the Oswestry and North Shropshire area. 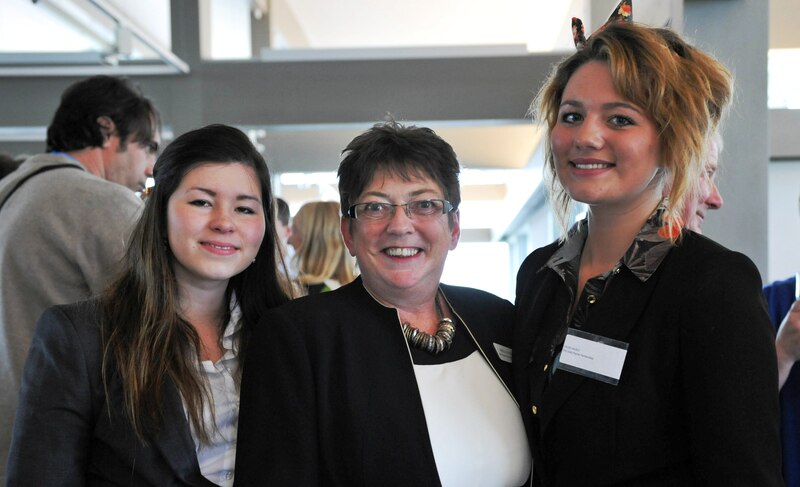 Lucy (left) worked with Jools and Chloe on The Oyster Catcher Restaurant launch event. Lucy has proved a cracking addition to the team, but regrettably, we don’t have a permanent position available within the agency at the moment. She has proved everything one would wish of a Graduate Intern; enthusiastic, eager to learn and develop her already impressive writing skills, professional in her outlook and approach and wholly reliable in terms of time-keeping and attendance. This ex-Oswestry School and University of Birmingham student is looking for a career within the PR and marketing arena. If you’re visiting the Shropshire Chamber of Commerce Expo event at Lion Quays Waterside Resort on Thursday 11th October, why not drop by The Jools Payne Partnership stand to meet Lucy who will be with Jools and the TJPP team all day. We’ll happily introduce you and offer our personal testimonial on her many skills and attributes.